Amy Anne's family is chaotic and a lot of the responsibility for her sisters falls onto Amy Anne's shoulders. That's why she loves to spend time after school reading quietly in the library. But one day she tries to check out her favorite book, From the Mixed-Up Files of Mrs. Basil E. Frankweiler, and Mrs. Jones tells her the book has been banned from their library. One parent has protested a list of 12 books in the school library and is asking to have them removed permanently. Amy Anne goes to the school board meeting to talk about how much the books mean to her but she finds herself mute when it is time for her to speak, and the board votes to remove all the books from the library. When Amy Anne loans her personal copy of one of the books to a friend at school, she gets an idea and is soon running a private library of all the banned books out of her locker. But as the list of challenged books continues to grow, her locker isn't big enough to keep up and it's only a matter of time until someone finds out about what she's doing. I was still absorbing the events in Refugee when out of the blue, here was another book by Alan Gratz. This is a strong indictment of book banning subversively hidden inside a middle grades novel. I love that Amy Anne has to work hard to (literally) find her voice. How many of us are upset by something but have a hard time standing up to The Man about that issue? Her ability to challenge this injustice grows a bit at a time until she is fierce! Every book mentioned in the novel is the object of banning in real life which could lead to some great discussion about why people feel it is necessary to remove a title from everyone and outrage from students as they see some of their own favorite books being removed. 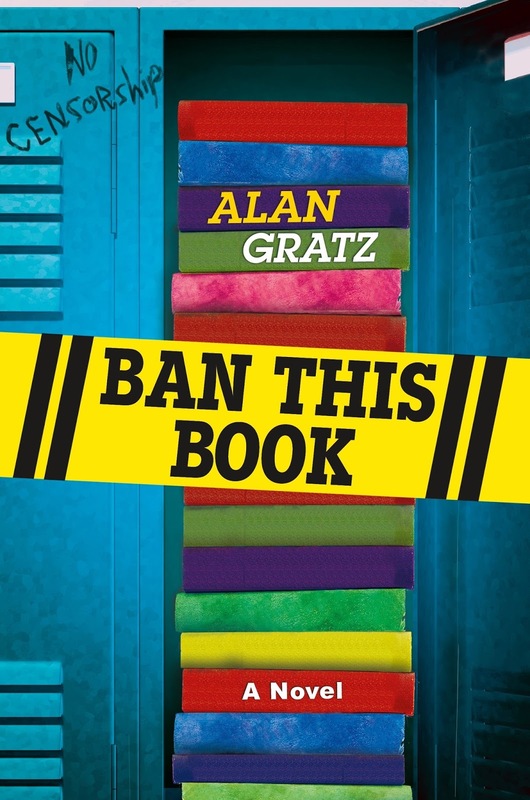 Although the book is definitely written for middle grades, it tackles serious subjects including the removal of the wonderful librarian - thank you, Alan, for such a strong characterization of librarians! - and the spinelessness of the school board. And to top it off, there's a cameo by Dav Pilkey helping to stick it to the banners!